The introduction of a sari emoji has caught the attention of Indians on Twitter, but many are disappointed as the sari emoji resembles a salwar-kurta. A non-binary couple, a period emoji (red, not blue), an inter-racial couple, a man using a wheelchair – these are some of the 200-odd emojis that will be rolled out this year. Announced by the Unicode Consortium which approves and standardises emojis, the list includes 59 new emojis. 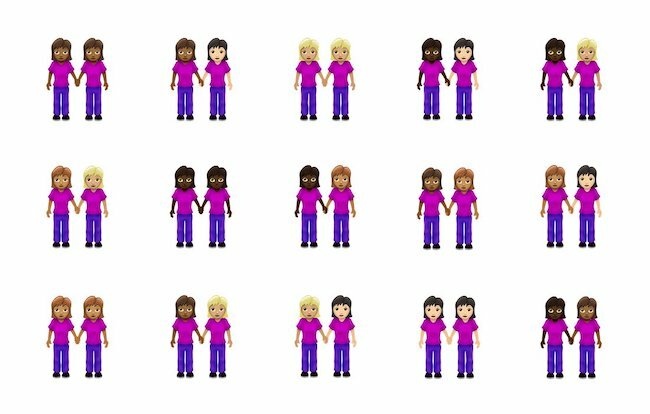 It goes up to 75, when gender variations are taken into account, and if you count all the skin tone options as well, a total of 230 new emojis have been approved. These include emojis like yawning face, pinching hands, onion, garlic, waffles, flamingo, otters and a drop of blood – which is being considered the new period emoji. The new emojis also focus on people with disabilities, with emojis depicting people living with hearing disabilities, a probing cane, a man and a woman using a cane, a man and a woman using a wheelchair – manual as well as motorised – and ears with hearing aids attached. The ears also come in different skin tones. New emojis for service dogs and guide dogs will also be introduced. The introduction of a sari emoji and an auto rickshaw emoji has caught the attention of Indians on Twitter, but many are disappointed as the sari emoji resembles a salwar-kurta. Emojis for a Hindu temple and a diya (traditional lamp) have also been approved. The new emojis are expected to be rolled out by September or October 2019, but some vendors may roll them out before that as well.